Free On-Demand Intuition Development Master Class. Watch now – here. The 6 Keys to Absolute Intuition You Can Trust to Confidently Make the Right Decision Every Time (Even If You Never Trusted Your Intuition Before). This free training webinar explains how to get precise feedback from your intuition rather than vague feelings and hunches. The biggest problem with intuition development today is that the prevailing consensus of relying upon feelings for intuitive feedback actually prevents students from getting concrete answers from their intuition. The results of relying on feelings leave people uncertain about what to do. This leads to the need to ask friends and family for their opinion and more confusion. The fact is that feelings are unreliable and change constantly. There is a better more reliable way to get clear detailed guidance from intuition that is not reliant upon feelings. This is the subject of the Masterclass. Get Free training. 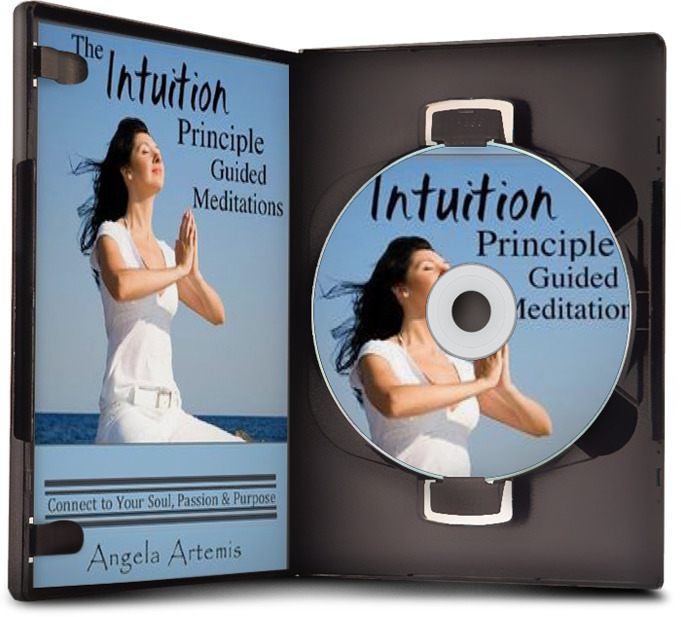 Watch the free Intuition Development Masterclass. Sign in>>>here. A 6 step strategy to shatter all the myths about intuition development that result in vague intuitive feelings and hunches and leave you completely uncertain. How to generate creative ideas and brilliant solutions to problems like a genius. How to stop stumbling in the dark guessing at what your intuition is trying to tell you. The “secret sauce” of truly accurate intuition and how you can use this to gain an advantage and skyrocket your intuitive success virtually over night. How to quit spinning your wheels and get on the right path that leads you directly to the life, happiness and success you dream of…without meditating for hours, spending years developing your intuition or giving 100s of ‘practice readings. A four-step formula to take the guess work out of intuition so you can stop seeking advice from everyone and feel confident in your abilities right away, that’s elegant, simple and results in concrete answers you trust. 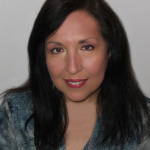 What the intuition community doesn’t want you to know that keeps you stuck on the hamster wheel of “second-guessing yourself” over and over again. You can make the best personal decisions in less time without agonizing over them again and again. How much time, spiritual energy, and peace could you reclaim by learning to do this? How much more could you achieve in your life if you were to put an end to the fear that keeps you tethered to your comfort zone? If you’re ready to finally stop the endless vacillating, calling friends for their opinions, and the nail-biting worry when making important decisions for your life this free masterclass is a must. Watch the free Masterclass. Sign in>>>here. What does being “Powered by Intuition” mean? To be “Powered by Intuition” is to be empowered by the faith and confidence you have in that small still voice. It means you trust yourself enough to follow this wisdom and to make decisions and take action based upon it. It shows you have developed confidence in yourself and are moving toward self-actualization. To be self-actualized means you are expressing your full potential. To reach the point in your life where you focus on self-actualization suggests that you have learned a lot about life and yourself. You’ve faced many challenges and grown and evolved because of them. Now you know who you are, what you’re capable of and what you are meant to do and you’re doing it. You are expressing your full potential creatively and spiritually. Listening to your intuition expands your consciousness and this awareness and “knowing of yourself” is what leads to self-actualization. To live “Powered by Intuition” doesn’t mean you will know what’s going to happen tomorrow. Developing your intuition isn’t about fortune-telling. It’s about developing greater awareness of that small still voice inside and focusing upon hearing it so that you are led in the right direction and make right decisions with confidence. Following the direction of your intuition will lead you to your destiny and full actualization of your potential. Human beings are not the generators of inspired thoughts of genius but the recipients of this illumination. Inspired thoughts of genius come to us from an Infinite Intelligence that we are part and parcel of, through the technology of our intuition. This is precisely why at a given time a number of people will be inspired with a similar idea. The one who has the courage and confidence to act upon it first is usually credited with the origination of the idea. When you are “Powered by Intuition” you are living on-purpose. Following your intuition is how you find your purpose and pursuing this path is how you evolve into your full potential and greatness. It takes courage and confidence to listen to that small still voice and act upon it. As you make more decisions based on following your intuition and get good results your confidence in yourself will grow. Once you begin to live “Powered by Intuition” you find that your desires manifest more quickly, and sometimes even spontaneously. Listening to your intuition will always put you on the right path to discovering your purpose and your greatest good. And, it’s the reason why we don’t need to know what is going to happen tomorrow. Your connection to your intuition is a two-way channel to Infinite Intelligence. Your intention is broadcast directly to Infinite Intelligence where circumstances can be orchestrated by Infinite Intelligence to manifest your desire. Synchronicity and serendipity occur when you follow your intuition. When you are receiving guidance and following it you will begin to notice many more “coincidences” and happy accidents popping up in your life. It’s a sign that you’re on the right path and that you’ve been listening to your intuition. When you are Powered by Intuition you have more knowledge and power at your disposal. And it can be directed to any area of life. You can listen to your intuition to improve your health, relationships, finances, career and spiritual growth. Listening to this guidance you will be intuitively inspired to do things you’ve never done before, go places you’ve never gone before and to meet up with a destiny greater than any you ever thought yourself capable of before. This is the most exciting way you can live your life. This guidance has led me to focus on helping intuitive, holistic entrepreneurs be confident selling their programs and services. Having worked in financial sales for 25+ years I was lucky to have had a background in sales before I began my own business. But, many intuitive holistic entrepreneurs and healers feel very uncomfortable when they have to “sell” and as a result don’t have enough clients. There’s nothing worse than having a a big mission to help people but not having the clients to share your gift with. I’m passionate about empowering them with the sales skills and the confidence to make a bigger impact by serving more people. What I have learned is that when you get past your blocks selling is intuitive. Building a solopreneur business is a huge journey of self-growth and personal development. Every fear, insecurity and negative belief you have about yourself surfaces when you leave the comfort zone of your salaried job. It takes a lot of confidence and self-belief to make it. Shining the light on entrepreneurism and the importance of developing intuition is the next evolution of Powered by Intuition. To be a successful entrepreneur you must have business intuition and follow it otherwise you will end up doing things you hate because some guru says you must do it this way. You’ve got to be able to listen to that small still voice that says, “Do this and let go of that” even if you fear missing out by letting something go. When you listen to your intuition you will stand out in the market place because you will have the benefit of receiving more creative solutions and genius ideas. Confidence is also at the center point of attracting clients too. If you don’t have it it’s much harder to fill your practice. Watch this space for more articles on Intuition, Entrepreneurism and Business Building. Tune into your intuition and you’ll be more successful in three very important ways. All answers are already inside you. There is a part of you that is quietly witnessing and recording every moment of your life. This part runs 24/7 taking in incredible amounts of data that the conscious mind isn’t aware of. When you are faced with a decision all of this data is mined instantaneously and the answer catapulted at warp speed to inform the body. Science bears this out. In studies where skin conductance responses (measuring perspiration) on the palms were measured findings show that the body’s intelligence responds correctly to answers before the conscious mind ever forms an answer. Once you learn how to pick up on these subtle cues from the body you gain access to a vast storehouse of intelligence for your life. 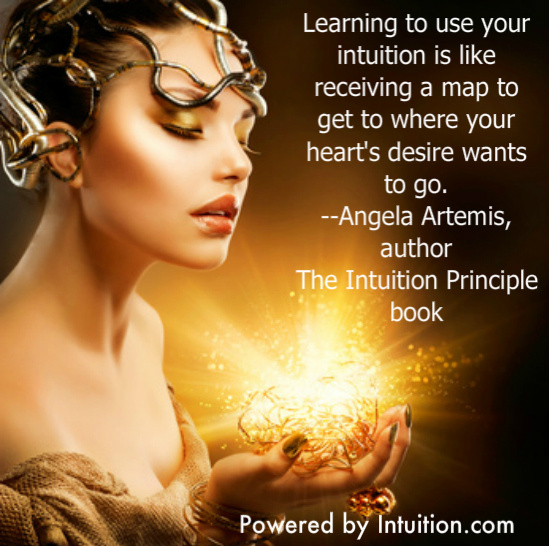 Listening for and hearing your intuition is skill that requires practice. Once mastered it’s a sign that you’re capable of rising above the din of your thoughts and the clutches of negative emotions. Most of our thoughts are dictated by what is outside of us and what we think we “should do” and this is is usually where we make our biggest “decision making mistakes. Negative emotions such as fear and anger reinforce limiting beliefs which is why being constantly whipsawed by these emotions results in making wrong choices and decisions as well. Focusing on your intuition doesn’t mean that you no longer need your reasoning powers or to feel emotions. It shows that you are not at their mercy instead, you are in conscious control of how you react. When your mind is quiet and free of distractions you easily hear your intuition more easily. Think of the quiet mind like a still pond. When a pebble is thrown in the center of the pond you easily take notice of the ripples it sends out. If you were to throw a pebble in the water during a rains storm however, you would never be able to distinguish the rings from the raindrops. Someone who hears their intuition easily has learned how to still their mind like the quiet pond so that when an intuitive thought strikes they easily take notice. Acting upon your intuition takes guts. If you have to make an important decision and all the data points you to another decision entirely you have to be pretty gutsy to follow your intuition anyway. Most highly successful individuals will say that some of their most celebrated decisions were based on following their gut instincts. And, that despite the data and advice from others they proceeded based on a “feeling” they had that this was the right way to go. This shows great courage and confidence. The more you develop your intuition and trust it the more confident you will become in your own instincts. And, as a consequence the more confident you are in trusting your intuition the more often you’ll hear it and be accurate. Will you always be right? No, there are going to be times when you’re wrong most likely, when the rational mind puts its own spin and biases on the raw data of your intuition. Intuition and logic are not inherently compatible. You can’t measure the validity of a raw intuitive flash of inspiration by how rational it is. If your intuition appeals to your sense of logic it has most likely been tampered with by the logical mind. Many of the mistakes attributed to intuition are really attributable to not having practiced enough to differentiate it from our other thoughts. What we followed wasn’t intuition but a thought, perhaps because we allowed the rational mind to slip in because we thought this idea was “logically” the right thing to do. That’s the trick you see, to understand that intuition has nothing to do with what is right or rational at all. Intuition doesn’t come from the rational mind that thinks sequentially and where thoughts are labeled as right or wrong. Intuition bypasses the thinking mind and travels the path of our feelings—and feelings arise fast! Intuitive feelings spring forth at lightening speed from your memory banks. Stored data from “Column A” and bits of information from “Column C and B” are pulled from the mind’s storehouse and reformulated into a completely new and innovative idea or solution. Many new and innovative ideas never seem “logical” at the beginning, do they? This is the reason why you might label it as illogical but, that doesn’t automatically make it wrong. The ego is concerned with being “right” so it will impose the test of “reason” upon an innovative idea and deem it illogical or wrong. When the ego and reason team up and tamper with your intuition you second guess yourself and think, “this is a crazy idea and it won’t work.” In its place you come up with another idea that you assume is also from your intuition and that is the idea that turns out to be wrong. Intuition isn’t wrong it’s when we filter it through the lens of reason (what we think we should do) that creates the distorted idea which always turns out to be wrong. Develop your intuitive listening skills and gain access to more intelligence for your life, better decision making ability and improved confidence. If you enjoyed this article please share it with a friend on Twitter, FB or Google+. Thank you. P.S. 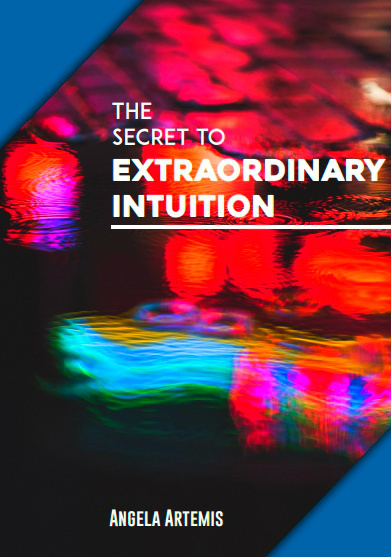 Learn how to turn up the volume of your intuition. Click here. Your life is the result of your previous choices and decisions. Poor choices lead to bad decisions, which result in the mistakes we look back on and regret. The way to avoid making mistakes is to become a better decision maker. But, how do you learn to apply proper decision making using both reason and intuition to your own life, to the little decisions and big decisions that ultimately shape your life? I was never taught this and the first half of my life was fraught with mistakes. Through trial and error and study I have learned how to handle challenging decisions. And, you can too. Say, you’re offered a job and it sounds great but, there’s a tiny niggling of doubt that holds you back from saying yes. You’re under pressure to give your decision – what do you do? Or perhaps you’re in a quandary over choosing the right life partner, business partner or whether to sell your home and move across country? How do you make these difficult decisions that affect the rest of your life? Whatever the decision, there is a way to cut the stress, decipher the doubt and unearth the decision that is right for you using both reason and intuition in this intuitive decision making model. You won’t make a proper decision unless you examine what makes you tick. Each of us is different and has a unique set of values and needs that our decisions must satisfy. What’s important to you? What do you need to be happy? Is financial security the most important thing to you? Is climbing the corporate ladder and increasing your status an important factor in your overall happiness? Are you motivated by fame and celebrity? Or, is it love and emotional intimacy? Do you need freedom and the call of adventure to be happy? Maybe spiritual growth tops your list? What vision for your life do you aspire to? Each of us has a “vision” for our lives. My vision is to write, publish and teach people how to “speak intuition” so that they make the right decisions and live up to their full potential. Anything I do has to work toward upholding this overarching vision for my life. What’s your vision? Craft one sentence that encompasses your life’s vision. Understanding your values and vision puts your decisions in context within this framework so, don’t skip this step. Your values and vision drive your decision-making and the trajectory your life takes. They should be the structure on which your life is built – in the same way that the skeleton is the framework to the body. 1. Review whether the choice aligns with your values. Does it uphold them? If yes, fine. If not, go over your values. Did you choose the right values to begin with or are you making the wrong choice for the wrong reasons? 2. Ask yourself if this choice advances you in the direction of your vision? Or, does it take you away from it? If yes fine. If not, then why are you do it? Think hard about this. 3. Review the facts. What do you know? What don’t you know? Whom do you know with experience in this area? Can you speak to them about their experience? Would researching this issue reveal useful information that would help you to make a choice? Do your research. 4. Make a Pros and Cons list regarding this choice. Which is most convincing the pros or the cons list? Decide if these four steps are enough to make the decision. If you feel completely confident and free of doubt go ahead and make your decision If not, go to the next steps where you will tap into your intuition. 5. “Live” both options. Imagine for a moment that you could fast forward to the future and review the outcome of your decision between two choices or, to either follow through with a particular decision or not. Close your eyes and imagine that you see before you two doors; one has a sign with a large number “one” on it and the other a number “two” on it. Assign a choice to each door. Walk through door number one and imagine that you had taken that road. Do the same with the second door. Step through the door and “live” out that decision in your imagination to it’s conclusion. Which outcome affects your life most positively? Which outcome stands out most to you and “feels” right? Still not sure about your decision? Go to Step 5. Have a convincing imaginary conversation with your friend and clearly explain why or why they shouldn’t make this decision. Can you make a decision now? No? Proceed to the next step. 6. 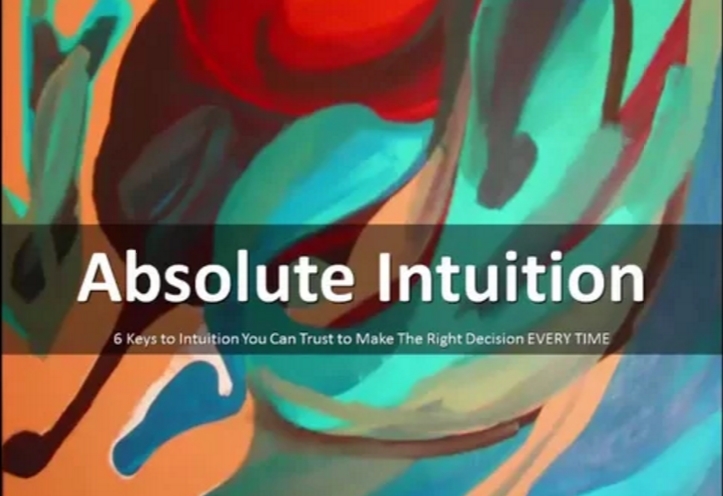 Check directly with your gut instinct – emotional intelligence – intuition. Review the advice you gave your “friend” and all the reasons for making or not making this choice. Close your eyes and take five deep breaths through the nose and release through the mouth to clear your mind. Ask yourself how you “feel” about this decision? Do not ask yourself if you are making the right decision. What is the first thought, feeling, image or emotion that comes to your awareness? Focus upon it. Ask “it” why it has surfaced at this time? What is the first response that comes to mind after this question? This response is the “truth” of how you feel regardless of all the facts, lists and pros and cons. Does this process reveal that your feelings about the decision are congruent to the decision you made by using reason and data? If your feelings correspond with the decision you made previously then great – you’ve done it! You’ve made a proper decision using logic and reason followed up by your gut instinct – emotional intelligence – intuition. If you there is discord between the two then, you need to investigate the feeling that is at odds with your logical decision further. Go to the next step. Place your palms on your abdomen in the area of your solar plexus. The reason for placing your hands on your solar plexus is to remind you to connect with the intelligence of your body. Your body gives signals via feelings that communicate vital information to you. Most of you are too busy to notice them. This is why you need to slow down and go within in order to decode this important information. Close your eyes and relax by taking five more deep breaths in through the nose and releasing them through the mouth. Now visualize the outcome of the first decision and then the second just as you did when you stepped through each door. This time you are going to focus on what physical sensations, feelings or emotions come up regarding each of the outcomes. Pay attention to your breathing, is it constricted with either choice? Does your chest feel tight when you go to take a breath? Become aware of your neck and shoulders, do either of the decisions make you tense up in those areas of your body? Notice your abdomen and the area around your solar plexus, is there a “knot” in your stomach or butterflies? Do you feel nervous, anxious, are your palms sweating, does your heart speed up or is there a lump in your throat? If you notice any discomfort regarding one choice over the other, your body is telling you that this is not the right choice. Do you have your answer now? Not yet? Go to step eight. 8. Make sure you thoroughly understand your motivation and what you’re getting into. If you’ve come through the process this far without an answer it’s time to step away and put it on a shelf for a while. Don’t rush and never allow pressure from outside sources to influence you into making a decision before you are ready. Tell yourself that you want more clarity on this issue and that you expect to get it in X number of days (give yourself a time period). Don’t make a decision and don’t think about it after that, live your life and focus on other things. Just because you’re not consciously thinking about this decision doesn’t mean it isn’t “percolating” in your subconscious. You may have a dream during this period or an insight will surface that clarifies the issue. You may come to the conclusion that this decision is unnecessary and drop the whole thing. Have you ever found yourself struggling to make an important decision? What was the situation you were grappling with? What techniques did you use to help you make the decision? If you enjoyed this post share it with a friend on Twitter, FB or Google+. Thank you. P.S. 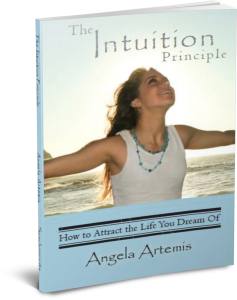 Learn to “speak intuition.” Click here.